A great discussion of the effects of punishment, “consequences” (logical and otherwise) and what we want to have with our children: a respectful relationship. 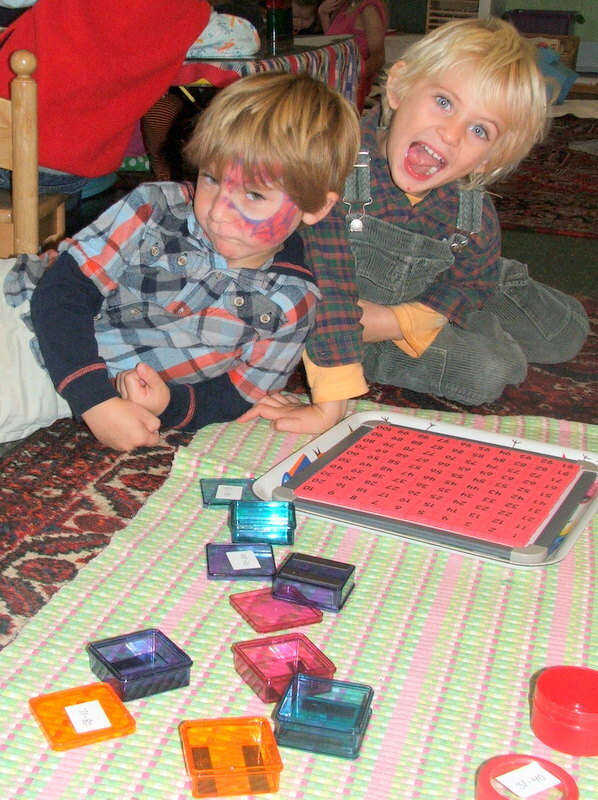 I have been thinking a lot about how to describe Montessori’s odd term: “normalization”. I have compared it to “flow”, as adults can identify with this feeling. In the classroom, we are taught to wait for that “one thing” that attracts the child. ( By “wait”, I don’t mean we ignore the child; we continue to offer lessons, and, of course, observing other children is the best inspiration!) That “thing” is usually something which requires focus and concentration. It is not necessarily anything that looks “academic”, although it is a key factor in being successful in “academic” work. 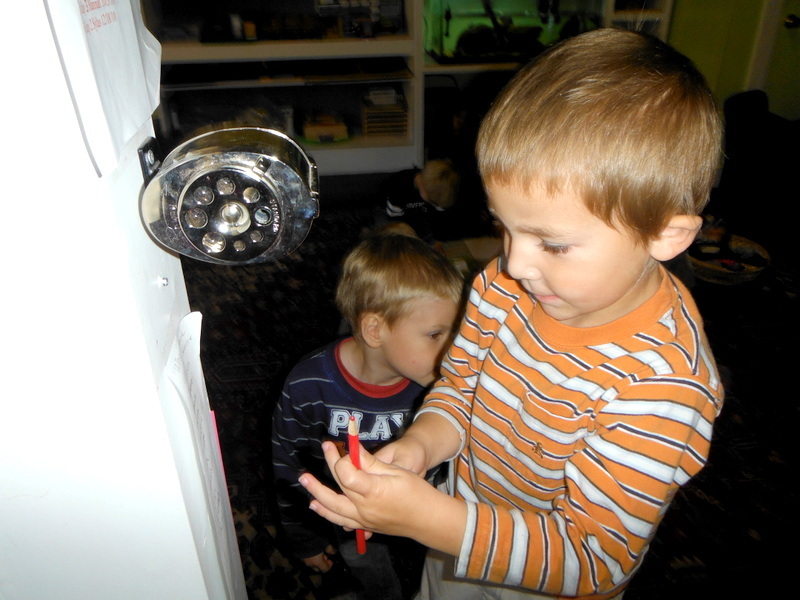 It can be when a child watches a raindrop flow down a window pane, and meet up with other drops. It usually involves repetition, but all motivation is coming from the child, as when they climb, over and over, on the “red swing” outside, and attempt to stay on and to swing. It may appear to have no purpose, as when I taught myself to throw a spiral with a football as a kid, although I have never played football for a minute in my life. However, I practiced for days and weeks, and got great satisfaction from feeling and seeing a good throw. As parents, your job is to allow “do nothing” time, when a child may be bored! This is fertile ground for finding “that thing” which attracts them into effort. It will not, generally, come from your suggestion or help. In fact, your help may be a huge impediment! This is when “benign neglect” may be the best gift to kids. If you are too busy to help, they may be attracted to notice a caterpillar, follow the cat, watch the leaves fall, notice light reflected from water, and that will be the beginning of normalization, and your job is not to interrupt it, not even with vocabulary or appreciation! 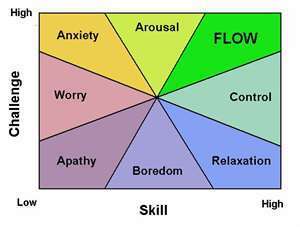 A lot has been written about University of Chicago psychologist Csikszentmihalyi and the idea of flow. He described flow as “the quality of experience as a function of the relationship between challenges and skills.,,When challenges and skills are matched at a high level, the resulting state is flow.” Many have written about flow in sports; when things “come together and feel right”; in art, in writing, in playing music. We can understand the above chart as: when skills are high and challenges are low we can be relaxed or even bored. When challenges are high and skills are low, anxiety or worry can result. When both skills and challenges are low, we are apathetic. When challenges and skills are matched at a high level, the resulting state is flow. We cannot live in flow! Sometimes we have to struggle, and sometimes we need to rest, but flow is the reason that we achieve great things, and when we feel deeply satisfied. It is what helps us get to new levels in our work and in our play. 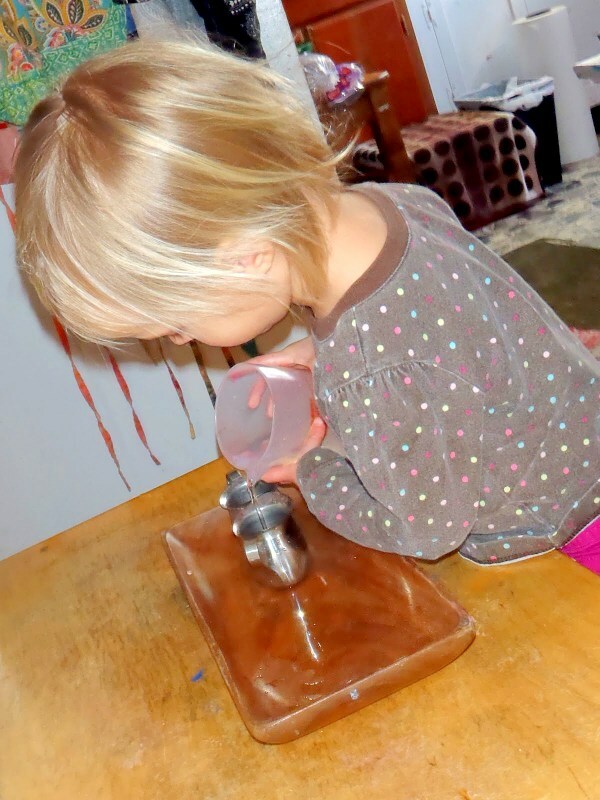 I think that this is one way to describe what Montessori saw in children who were deeply concentrating on the materials. I believe that this is what she wanted to provide for all children. One way we see this in the classroom we call normalization. 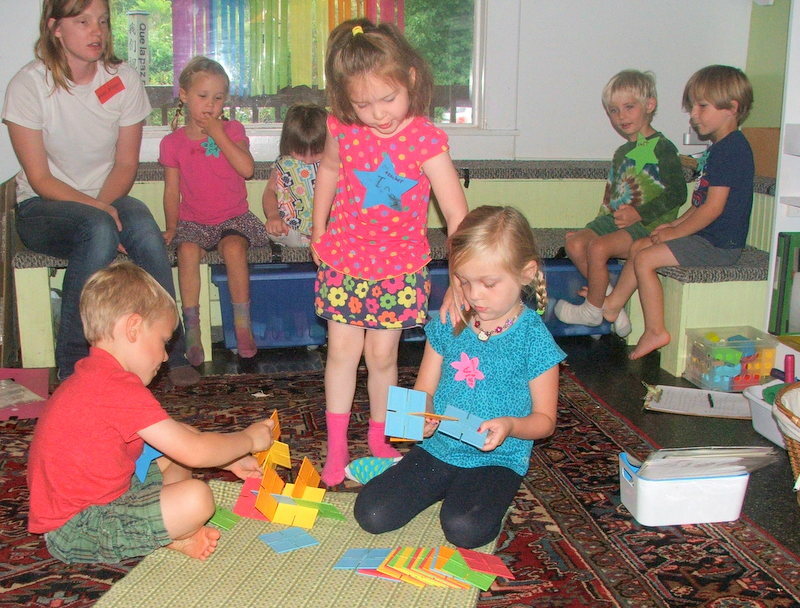 Montessori teachers argue whether a child is normalized or a classroom is normalized. We know, however, when we see a child deeply engaged. They often repeat the work over and over, and cannot be distracted from it. Here is Jonah. 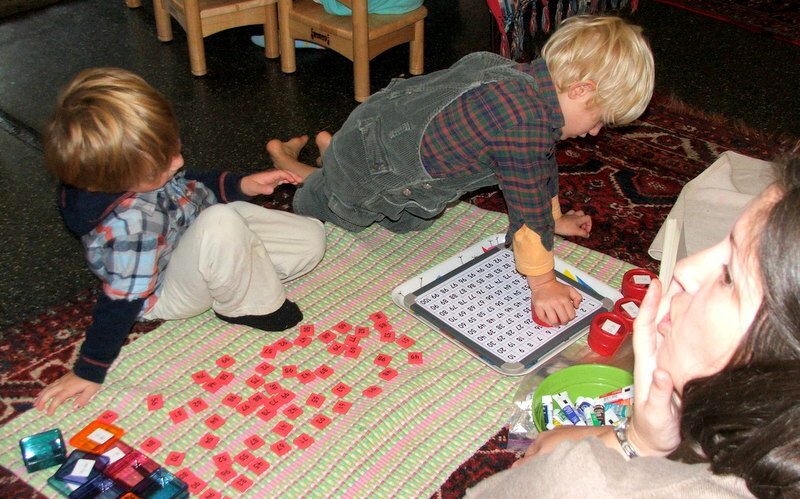 :) After counting Montessori math materials, and working with them for three years, when he started to count one of the chains, he ralized that it felt so easy, he should count all the chains. From 1 set of 1, to 10 sets of 10. And that he knew all the “5s” and all the “10s”. And that he could recognize all the numbers. And it felt really good. Here is Melly,concentrating on leaping, and Lila, concentrating on very careful pouring. We can see concentration and deep joy in many activities. Our jobs as teachers and parents are to set up the environment and teach skills so that each child can experience this and build on this feeling of flow when they encounter new challenges. Look at these happy boys! 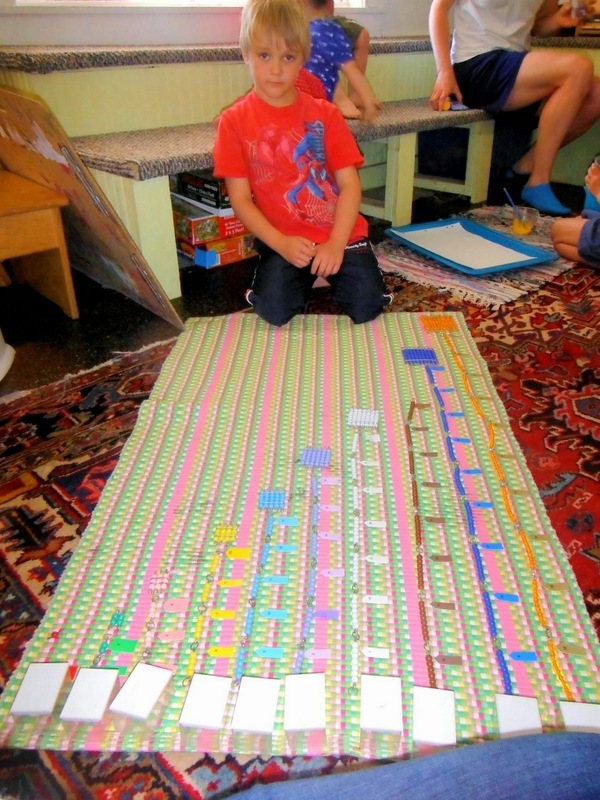 They have finished the 100 board, a wonderful example of the Montessori math materials! In this work, they see the patterns of the numbers, repetition in the numbers in sets of 10. They are pleased, because it is a big work! There are 100 pieces! We set them up for success by sorting them into 10 boxes of 10. Now, look at this picture! They forgot that each set of 10 goes into a separate box, and so they mixed them all up! (This is after Lynn gave a silent scream and helped them turn each number back over and to line them up in rows, right side up.) Now they got to sort them back into the boxes from Chaos Mode. 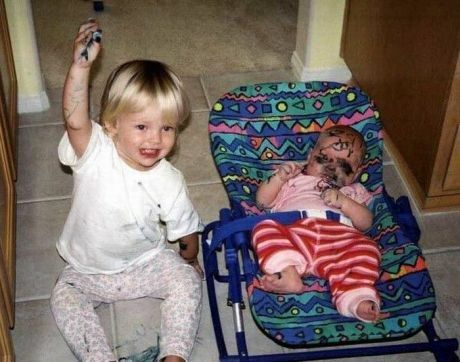 It was not as much fun, although, being children, they did it without the dread that Chaos Mode can cause in adults. Back to the sense of order. We adults can foster this by setting things up (puzzles, coat hooks, shoes, underwear) so that children see the order they need to be successful. Here is Silas at 3:) We are setting up the color tablets so that he can easily see which ones he has paired, and which ones he has not. If we stop and set a child up with some support and order, they are more likely to be successful independently! 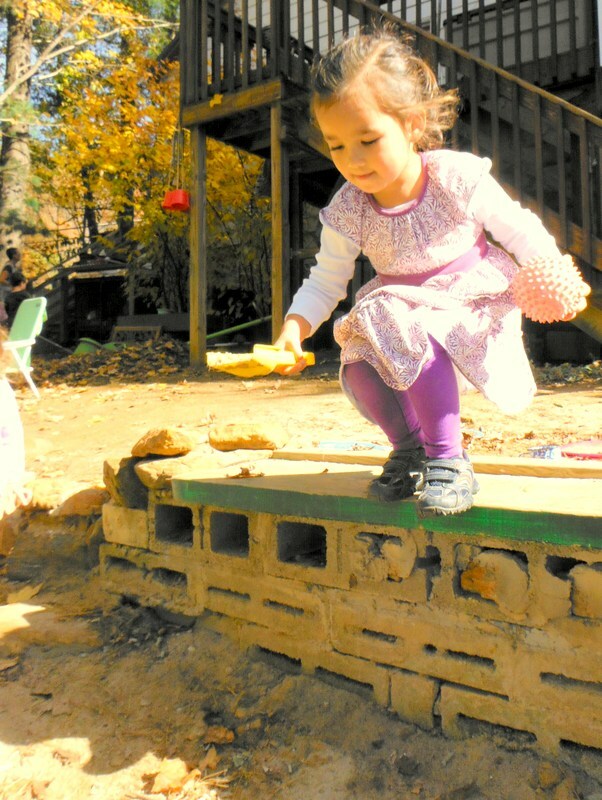 Montessori said that young children have an innate sense of order, but we need to support that order in the environment for them to be most successful. 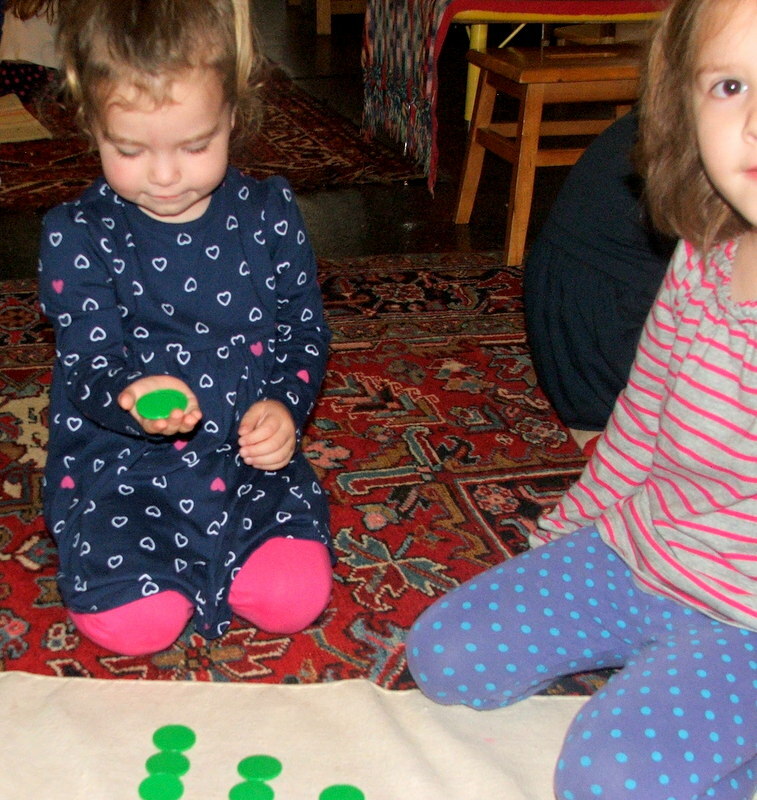 The Wonderful Montessori Math Materials! The original poster probably ran away, screaming, but it shows how passionate we are about the materials, how much we love them , and how much thought we, and the teachers before us, all the way back to Montessori’s first school in 1907, put into how to present hard, abstract lessons to children. This is a great lesson in one to one correspondence, which is hard for young children, who are presented numbers as a series of sounds: “one, two, three, seventeen, twenty, one hundred!” One to one correspondence means that there is one thing for each number counted, and requires slowing down to realize this. When you have to pick up one counter for each number, that slows you down. 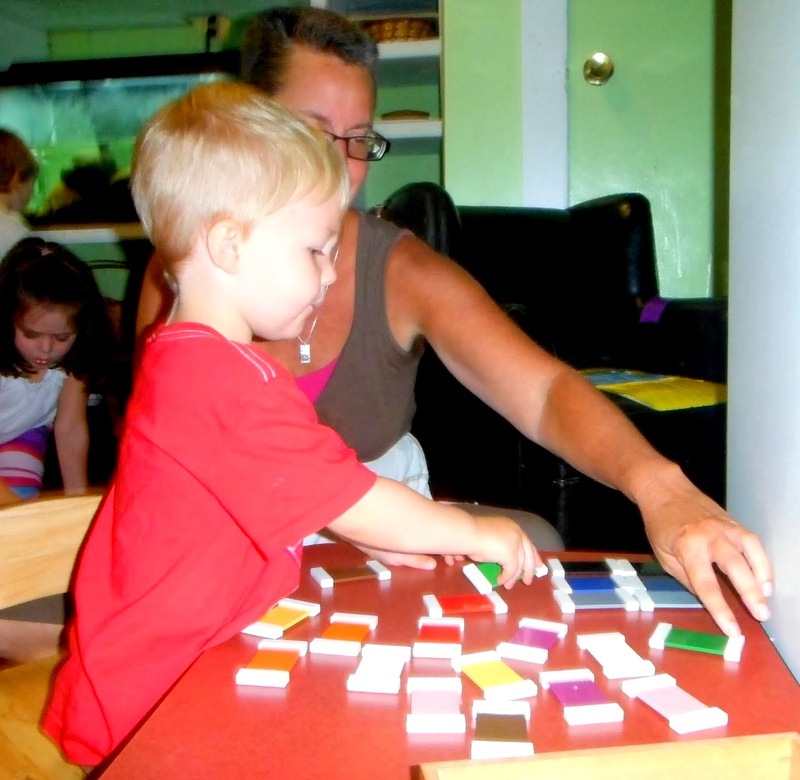 Usually the beginning presentations of this work have the teacher counting, one at a time, into the child’s hand, and then the child counting into the teacher’s hand, then counting again as they lay out the counters. If the child cannot “read” the numbers yet, the teacher lays the numbers out in order, reading them. The teacher sets them up as shown, and, eventually, the child notices that one is “left over” at the bottom, with some of the numbers. This may be at four or five. The child has “discovered” odd numbers, and this discovery has more value than our teaching the concept. Later, this work can be done with a friend, on two rugs, with the numbers mixed up, as a game, or with a younger child. This is one of the beginning number presentations in a math curriculum which is contained in a book (we call them albums) which is 3-4 inches thick with lessons! We love the math materials very much, and the children do, too! Conferences are helpful to me, as I remember things that are helpful to you! A parent recently asked: “Do you teach a polite way to interrupt?” Yes! We teach, and we practice, and we practice, and we practice, and we remind!